Foundation and concealer application can get tricky as we age. We want coverage, but want it to look natural. I personally like my makeup to feel light on my skin. We may need to hide dark circles, age spots or uneven complexion, but we don’t want our makeup caking around our fine lines and wrinkles. Choosing the right products is the first step….applying them CORRECTLY is the 2nd step. 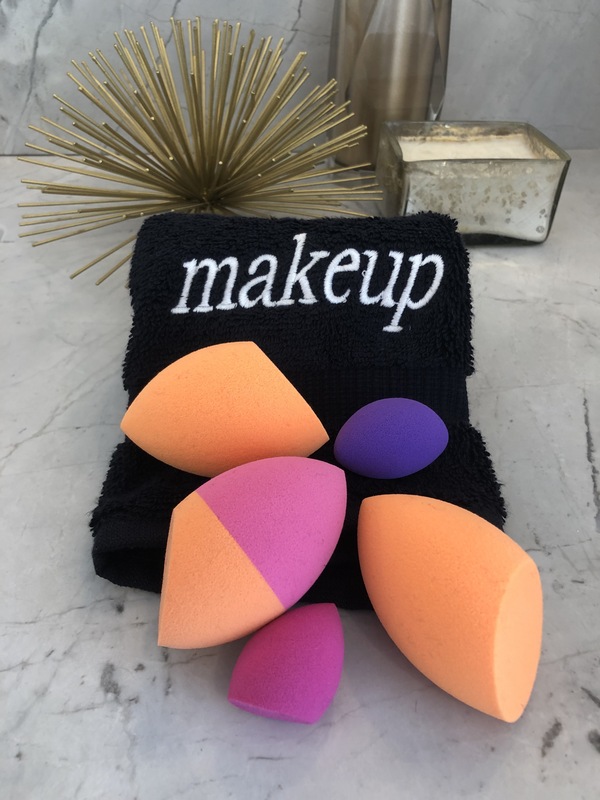 Click on the video below for my tips and tricks on how to apply foundation flawlessly using my favorite tools….makeup sponges! Scroll down further for tips on how to pick the perfect products for your skin and a list of all of my favorite sponges, foundations and concealers. Watch how I transform from looking TOTALLY EXHAUSTED (which I was) to awake and ready to meet the day! When buying a new concealers or foundation be sure to go to a retail store rather than purchasing online. A beauty consultant can help you match your skin tone. Be specific about your needs. Ask for a creamy liquid concealer that doesn’t cake under your eye and gather in your fine lines and wrinkles, but has enough coverage to address circles if you have them. Tell them about your lifestyle and whether you are looking for light, medium or full coverage foundation. Be prepared to change foundations during winter and summer. When temps change so does your skin.